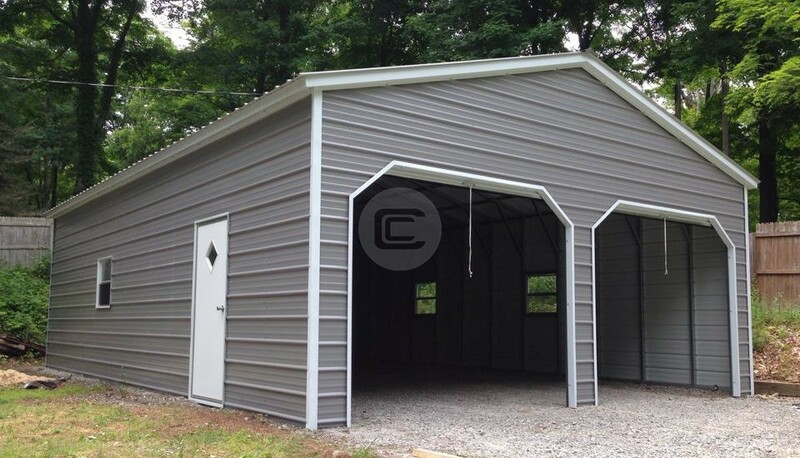 Featuring a great affordable prefab car garage with two roll-up entry doors on the side for any of your cars, boats, or other assorted equipment. Measurements are 24x41x12 (24 ft wide x 41 feet long – the frame is one foot shorter than roof length x 12’ tall). All the sides and ends are closed with horizontal panels to offer a clear span space of 960 sq feet. This car garage provides perfect shelter with the strength to safeguard your cars and vehicle from the uncertain rough elements of nature. 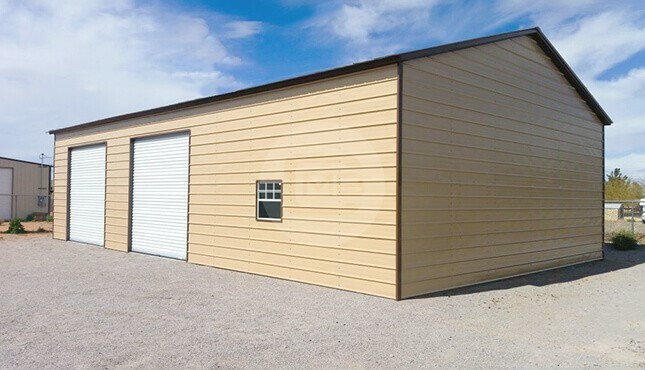 This custom designed metal car garage has two 10×10’ roll-up doors on the side wall to maximize your available space and a window for the natural light. Our two-car garages are built with top quality materials and are designed to withstand elements for years to come. 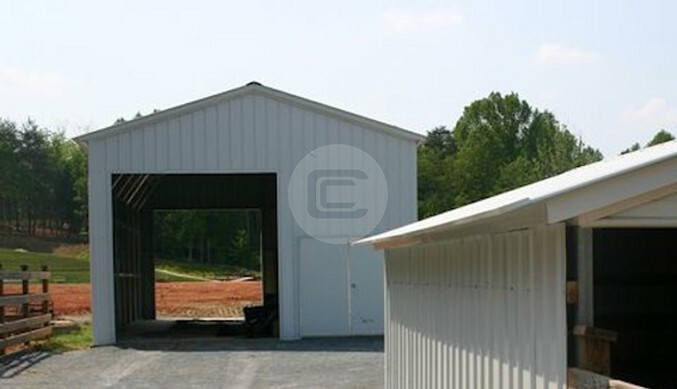 This 2 Car garage with the side entry is built with 12 -gauge steel tubing which is the strongest material to fight high winds and heavy snow loads. With this stronger gauge, this car garage is certified reinforced with additional anchors and braces.